Time to enter has now been extended out by two weeks. We have also had a super generous donation by @krazykrista. The Prize pool is now 200 Krazykoin!! This could be one of the biggest contests on whaleshares at this moment. This prize is worth approx 700 WLS!! Contest is open to people on STEEMIT too but the prize is a whaleshares reward. Details below! A new Vegan curation whale is coming to the platform. It will be called "That Vegan Whale"
What I need from you is to create a post and tag it with #thatveganwhale. In the post you should supply the following. These images will be used to let content creators know that the "That Vegan Whale" account has shared their content. So what do you say good people of Artists corner? Is this something you can do? This will be the very first Vegan curation account on the platform so I am hopeful it will be able to draw a big audience in time. The account will also credit all images to the artist of choice. Prize pool has been increased to 200 Krazy koin which is worth approx 700 WLS. What will I be looking for? I am looking for original and fun images. Something light hearted and fun. That Vegan Whale is all about fun and respecting all life on the planet. That Vegan whale will be running contests and promoting all things Vegan across the platform and doing his best to entice users here from other platforms. You can follow #theveganwhale here or just click on @that-vegan-whale and any support for this initative is very much appreciated. Oh and dont worry, I know that Whales eat fish, this is fun so lets take it in the spirit that is meant and have some fun people. Oh one last thing, I have set up my witness node over on the whaleshares chain. This node ads to the numbers currently supporting the whaleshares blockchain. 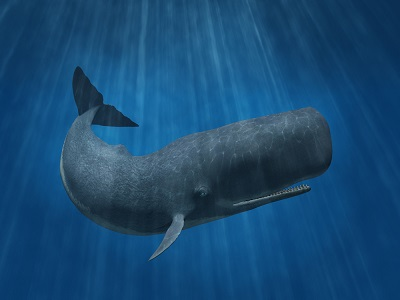 Without witness nodes there would be no whaleshares. Witnesses count on your votes so if you could spare a vote for me I would really appreciate it. You can vote for my witness here https://whaleshares.io/~witnesses I am in the list but you can also go to the bottom of the page and type in moonunit and click "share". You can read my witness post HERE! All images unless otherwise sourced and noted as such are my own. Sourced images are clickable to show their source. My own images are typically taken with my Galaxy S9. App, and website logos belong to their respective owners and I have permission to use. Fantastic, many thanks for your support. Cant thank you enough. Hello @moonunit, thank you for sharing this creative work! We just stopped by to say that you've been upvoted by the @creativecrypto magazine. The Creative Crypto is all about art on the blockchain and learning from creatives like you. Looking forward to crossing paths again soon. Steem on!